​​GO Murcia Spain commission is competitive and we do not ask you for any exclusivity. Every seller has to pay a tax based on the incremental value of the land which the property occupies over the amount of years you have owned it. Make sure your Community Fees are up to date – normally you will have to present a Certicado de Communidad to the buyer on signing the Escritura. Ensure your utility bills are up to date as these will need to be paid up to the date of sale. You will have to provide the original proof of payment at the signing. Sellers have to pay the IBI or Council tax for the whole year they are selling. Your bank will probably have anywhere from a 0.5% to 1% cancellation charge on the balance of your outstanding mortgage. As a seller you will have to ensure your mortgage is cancelled at the Notary and Registry. This may cost anywhere from 600 Euros to 1000 Euros, and is an amount that will probably be retained by the solicitor to ensure this is done. If you are non-resident in Spain, the buyer of your property will also have to retain 3% of the Escritura Sales Price to pay directly to the Spanish tax man (Hacienda) on your behalf towards your Capital Gains Tax. Fiscal residents do not have any retentions made on them, but they may have to pay tax on the sale in the following year through their tax returns. 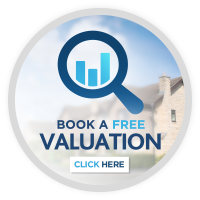 If you have used an Agent to sell your property, then you will also have to account for the Agent’s fees. A good legal office should prepare utilities contracts, community charge and Suma invoices, lease with the purchaser’s representatives and the Notary, prepare the Notary appointment and all related paperwork, accompany the seller to the Notary and translate, calculate the 3% retention, calculate and advise re Capital Gains Tax and give fiscal representation throughout the Process. Was either handed over when signing at the notary by the builder if a new build or given at the notary by previous owners. If not one will have to be sorted out by the solicitor. To be done prior to the sale by a person qualified to do it. Either an engineer or architect. This can be arranged by the agent.